As a blogger I can't really imagine my life without an iphone and I'm pretty sure most of you (even if you don't write a blog) would agree with me that such devices can become quite addictive. But even though I can go on and on about the benefits of my little phone buddy there is one thing that annoys the crap out of me. That would be the fact that during cold winter days, using my phone can be quite difficult and I normally end up with frozen fingers, since I can't use the phone with my regular gloves! But from now on, my problem is officially over, thank's to TT gloves that I was so kindly sent by the TTgloves team. 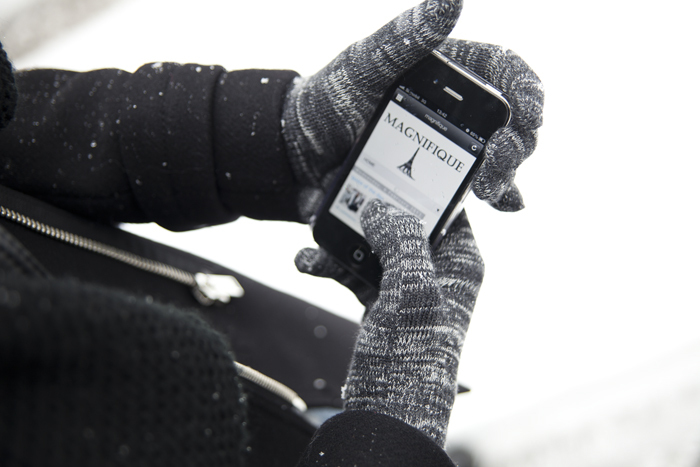 These gloves were designed especially for all of us, touch screen phone users, since you can use your phone without any problems while wearing them! For more details check out their page HERE! This is a great idea. I really love it. Nice photos. The same happens to me! My iphone is my life!! Nice photos! I have new post if you want to have a look. Thank you and kisses! Oh! I knew that but in a very ugly design! Those look amazing! siempre llevo pares de guantes por todos lados, en invierno no salgo de casa sin ellos, los adoro!!! y los tuyos son muy bonitos!!!!!!! 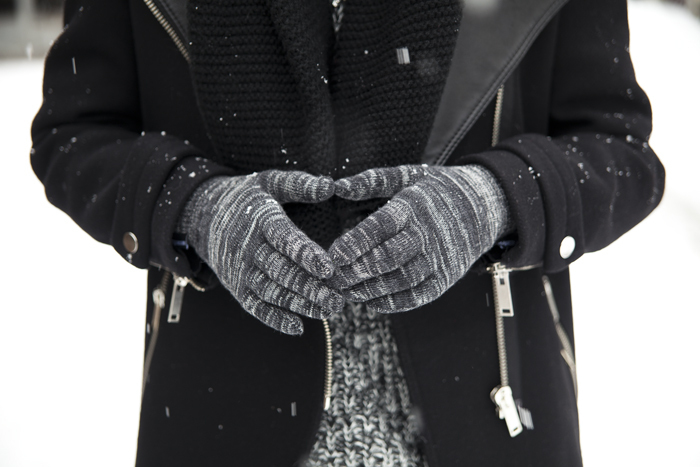 Ive considered how handy these gloves would be but have yet to try them. So glad they are finally coming out in stylish sets! Great post! i loved it!Thanks so much for vista m blog! Big kiss and have a great weekend! WORLDWIDE GIVEAWAY SATCHEL BAG ON MY BLOG!! I use gloves that work with my iPhone but they definitely aren't as cute as yours! omg the gloves are pretty great ! Thanks for your comment on my blog!so lovely! I AM GIVING AWAY 1 PAIR OF SUNGLASSES FROM QUAY. Come check it out here! I lovely your blog, and I follow it on bloglovin' ! Using of various gloves is well protective for hand. I want to use for various features & future use also so please suggest me. If you want to take the design of T gloves for getting well advantages then have touch on it.